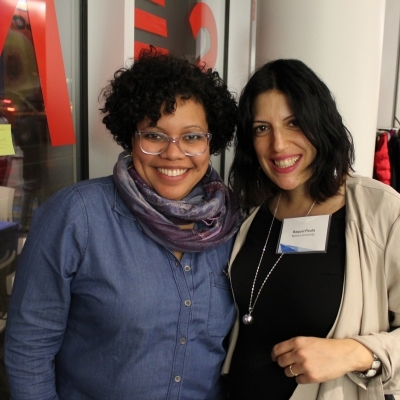 In 2016, ArtsBoston established The Network for Arts Administrators of Color (or NAAC Boston) to enhance the visibility of professionals of color in Greater Boston’s arts and culture sector, as well as widen the leadership pipeline and highlight opportunities for professional and personal growth in the field. NAAC Boston offers participants the opportunity to connect, network, and share learnings with the intent to empower, elevate, and retain talented professionals of color in the sector. The creation of this network reflects the importance of visibility for professionals of color, and the value that diverse perspectives contribute to an enhanced workforce and culture. NAAC Boston is part of ArtsBoston’s ongoing initiative to promote equity, diversity, and inclusion in the arts and culture sector. NAAC Boston was created to support self-identifying arts administrators of color, such as Asian American, African American, Native American, Native Hawaiian and Pacific Islander, Latin American, and multiracial individuals. The Network is open to individuals working in a full-time or part-time capacity at non-profit or for-profit arts and culture organizations in Greater Boston, as well as freelancers and consultants.